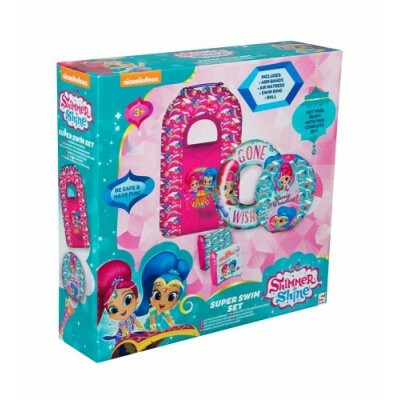 SUPER SET DE BAÑO SHIMMER AND SHINE DE 4 PIEZAS. 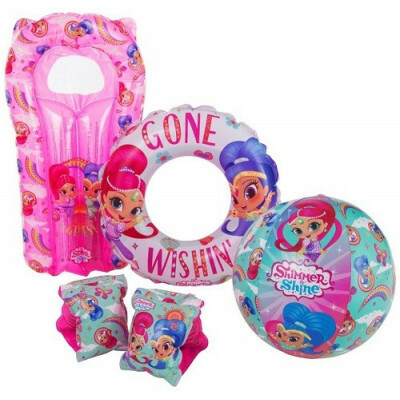 CONTIENE: MANGUITOS, TABLA HINCHABLE, FLOTADOR Y PELOTA. EDAD RECOMENDADA: +3 AÑOS.